Why study inner ear hair cell mitochondria? In several systems of the body (muscle, liver, nerves), new studies have examined the internal structure of mitochondria and brought to light striking new findings about how mitochondria are constructed and how their structure affects cell function. In the inner ear field, however, we have little structural knowledge about hair cell and supporting cell mitochondria, and virtually none about mitochondrial subtypes or how they function in health and disease. The need for such knowledge is discussed in this short review. Warum sollten die Mitochondrien der Innenohr-Haarzellen untersucht werden? 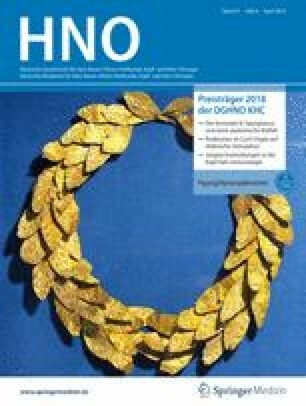 In mehreren Systemen des Körpers (Muskeln, Leber, Nerven) wurden im Rahmen neuer Studien die innere Struktur der Mitochondrien untersucht und aufschlussreiche neue Erkenntnisse darüber gewonnen, wie Mitochondrien aufgebaut sind und wie ihre Struktur die Zellfunktion beeinflusst. Im Innenohrbereich gibt es jedoch wenig strukturelles Wissen über Mitochondrien von Haarzellen und Stützzellen, und praktisch kein Wissen über mitochondriale Subtypen oder deren Funktion bei Gesundheit und Krankheit. Der Bedarf an solchem Wissen wird in diesem kurzen Überblick diskutiert. Research funding support was provided by the National Institutes of Health (specifically the National Institute of Deafness and Communication Disorders), grant number NIH R21-DC013181. J. Lesus, K. Arias, J. Kulaga, S. Sobkiv, A. Patel, V. Babu, A. Kambalyal, M. Patel, F. Padron, P. Mozaffari, A. Jayakumar, L. Ghatalah, N. Laban, R. Bahari, G. Perkins, and A. Lysakowski declare that they have no competing interests. In experiments involving animals, all institutional and international guidelines for the care and use of laboratory animals were followed. Animal protocols were reviewed and approved by the IACUC for University of Illinois at Chicago.